The feedback from our customers on Corydalin has been enthusiastic. 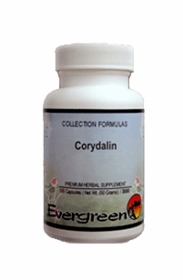 Like most herbs, Corydalin should be taken on an empty stomach, 3 or 4 capsules per day. Caution: People who take anti-coagulant or anti-platelet drugs should use caution with Corydalin.